Love your little head. Be OK with having a nose. Seriously, though, I've had a problem with these dolls from the time they first came out, and not because of the circumference of their craniums. Why is it OK for companies to make toys for girls that perpetuate the idea that pretty girls are brats, and that that's just fine, or even normal? That's just plain horrible. Barbie may perpetuate a beauty myth, but at least she isn't portrayed as a snotty girl. Do you think the movie "Mean Girls" is partially responsible for the Bratz craze? Confession- I LOVE "Mean Girls." Like, stop what I'm doing when it's on TV even though I own it, love it. Another confession- I'm not really sure what came first. The chicken or the egg? But this sounds like a job for Google! Good stuff Allison. Top notch commenting. "Hey Lady, the war of the sexes is over and this blog is an embarrassment to your family." Time Magazine's "Person of the Year"
Trump is shattering democratic norms. Congress bears a good deal of the blame for it. 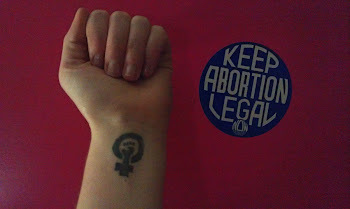 Is an Anti-Choice Clinic Using ‘Unlawful Imprisonment’ as Company Policy? The Yes Means Yes Show has arrived!